This still stands, but a trend of showing the source material alongside the new work is growing. Dorothy Caldwell's exhibition “In Good Repair,” 2003, Textile Museum of Canada, Curated by Sarah Quinton, features a body of her work inspired by mending, on pieces held in the TMC's collection, as well as a vintage child's nightshirt from her collection. The hair shirt above is “paired” with a Jihee Min piece entitled: “i as my Grandmother,” which consists of her grandmother’s rice washing bowl filled with pieces of brightly coloured stuff/ sculpted balls with strands of hair. Jihee Min is a Korean artist who immigrated to Canada as a child with her parents. The balls are embroidered with strands of her own hair. “Connective Tissue/ Tissu Conjonctif,” 2007, Musée des maîtres et artisans du Québec, in Montréal. J. Penny Burton, working with the Musée des maîtres et artisans du Québec, in Montréal, curated “Connective Tissue/ Tissu Conjonctif,” 2007. She took the work of twelve artists from diverse ethnic backgrounds with distinctive art/craft practices and paired them with pieces from the collection of the Musée des maîtres et artisans du Québec that had the same range of ethnic backgrounds. This highlights the story of the displacement of the indigenous population as European settlers brought their textile traditions with them. In “Tapis crochetés / Hooked Rugs,” 2008, Burton gathers the work of 4 contemporary Rug Hookers. Her co-curator Denis Longchamps, (current director of the Art Gallery of Burlington), chose hooked rugs from the collection that represented motifs and subject matter in rugs from the late 1800s and early 1900s to provide comparisons. In exhibitions like “The Blues,” 2008, and “The Cutting Edge,” 2009, at the Textile Museum of Canada, Patricia Bentley gathered materials from the collection and acquired materials from fashion designers, collectors and artists, to place the historic into a contemporary context. While with “Magic Squares: The Patterned Imagination of Muslim Africa in Contemporary Culture,” 2011, she places the work of contemporary artist: Jamelie Hassan, Hamid Kachmar, Alia Toor and Tim Whiten into a historical context. It is this type of mixing materials from collections with work being made today that (rather than merely suggest, imply or reformulate), shows the through lines with traditional ways of making or borrowing and appropriating meaning. Another approach is for curators presenting material or objects from the collection and inviting artists to create new work in direct response to these pieces. 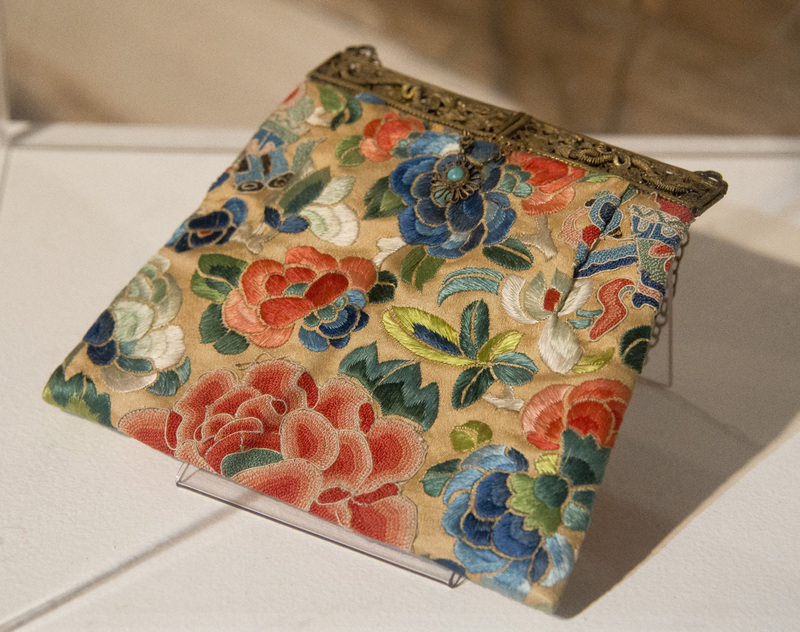 The Dufferin County Archives and Museum and Archive have been doing this since 2011 with an exhibition entitled, “Stitches Across Time.” Curator Sarah Robinson selects 6 textile pieces from the collection which are then presented in a call for submissions. Jurors make the final selection. You can see photos of the inspiration pieces and some of the work in the next article: “Stitches Across Time 2014 Gallery” It is interesting to find the relationship between the inspiration piece and the new work created in response to it.